You need the right preparation for a career in asphalt. Here’s more information about the kind of training you’ll need. And don’t forget: Your school’s guidance counselors and staff are always ready to help you plan out your next steps–take advantage of the them! Your best preparation for many asphalt careers is your High School Diploma. A High School Equivalency Diploma (HSDE) or certificate of General Educational Development (GED) works as a substitute for some jobs. For some technical jobs, you need a few years of study after high school. 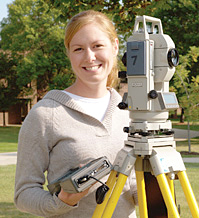 Several Wisconsin colleges offer programs for earning a Civil Engineering Certificate or Associate’s Degree in Civil Engineering. Pavement engineers need to earn a Bachelor’s Degree in Civil Engineering. You can pursue this degree at several Wisconsin colleges and universities. You need a Commercial Driver License (CDL) to drive large trucks on the road. This kind of license is not needed to run many construction vehicles on a closed job site. If you become a quality control technician (for the asphalt plant or for roadway construction), you may need additional on-the-job training after you get started. Your employer may have you take one or more courses in Wisconsin’s Highway Technician Certification Program (HTCP). Certification can help advance your career and lead to new opportunities! Roadway quality control technicians are often entrusted with radioactive testing equipment (manufactured by WAPA member Troxler Labs and others). Before you can operate this equipment, special Nuclear Gauge Training certification is needed. Pavement engineers need a Professional Engineer License (PE). You can get one after you earn an engineering degree, gain work experience in engineering, and then pass a test. CWMF Corporation offers portable and stationary asphalt equipment that delivers day after day to meet your long-term ROI goals.